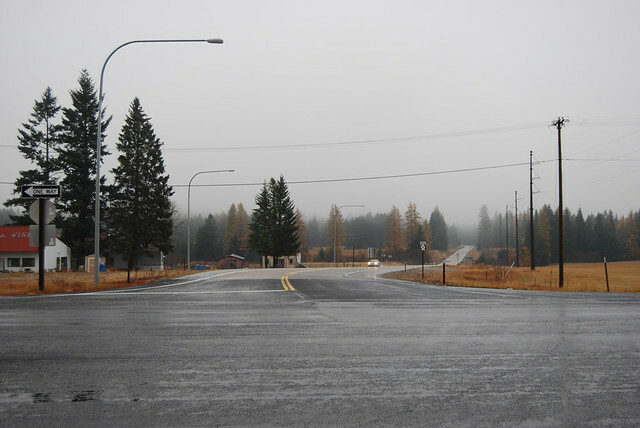 On Saturday, October 27, 2012, we drove through the rain along the length of Washington State Route 211 north of Spokane. 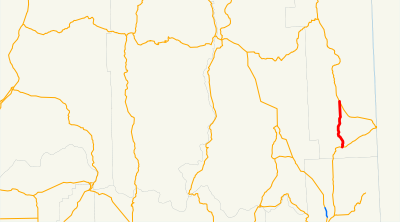 In the wilds of southern Pend Oreille County, just down the valley from Diamond Lake, State Route 211 starts at an intersection with US 2. 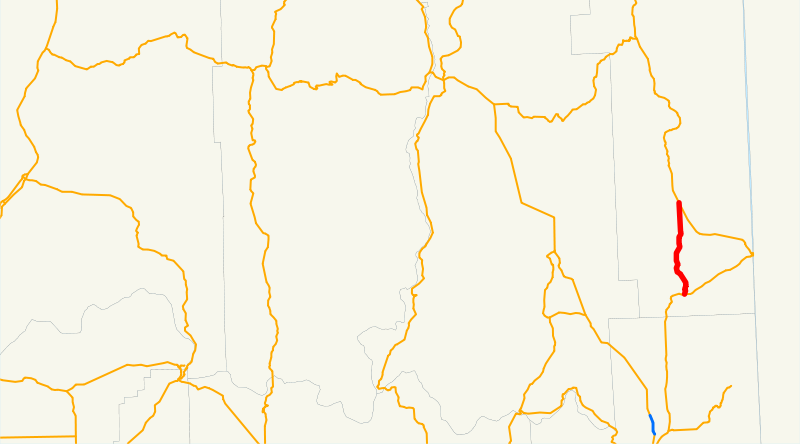 This is eastern Washington. Why is it raining? Northward we drive, wipers a-beating. Sacheen Lake looks like it would be nice, if the sun were out. We drive on by. Across the flats of Deer Valley, we reach the halfway point of the highway, pictured above. A wet minute later, we pass Davis Lake, another large lake nestled in the woodsy hills. 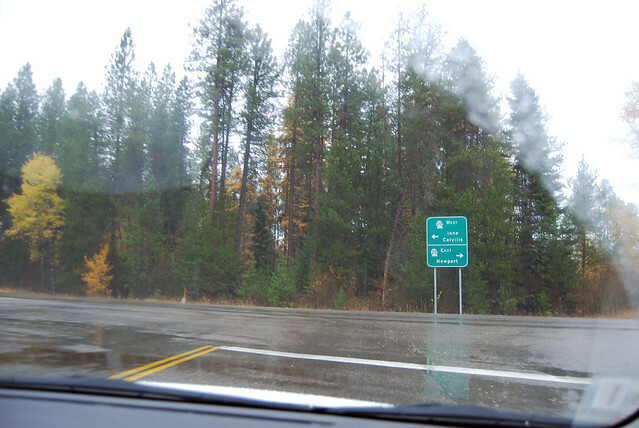 Nearing the Pend Oreille River, we head due north to the junction with SR 20 near the town of Usk. 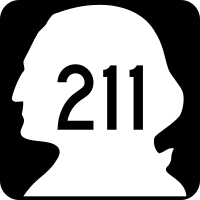 SR 211 has reached its parent route and also its end. Forty years ago, this was the junction of SR 31 and SR 311, but when SR 20 replaced SR 31 for this stretch of road, SR 311 was renumbered to match. 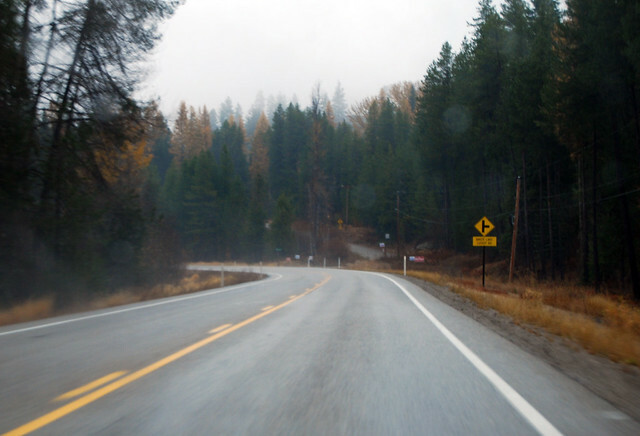 With that, our autumnal drive of Highway 211 is at an end. Which way to Malott?